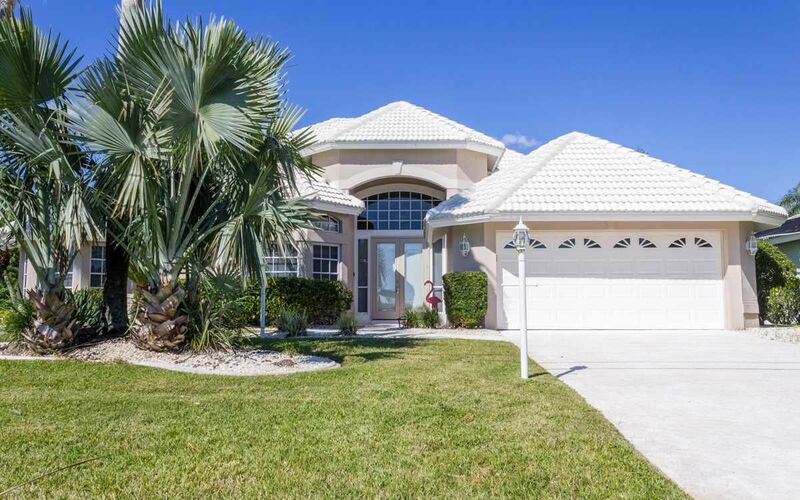 Villa Manatee is a large 4 bedroom, 3 bath home that has it all! Located in the SE Cape in the Eco Park Preserve, it is just 1 bridge to the river. The outside features a salt water pool that has both electric and solar heat, a spa, a tiki hut on the dock and a 10,000 pound boat lift. The kitchen is fully stocked with everything you will need to prepare a gourmet meal. There are 2 master suites, perfect for couples traveling together. All bedrooms have a TV and a DVD player. The living room features a large TV with surround sound, an electric fireplace and approximately a 100 DVDs. The master bathroom features a jetted tub. Unfortunately, the garage is not available because it is packed with lots of extras for your enjoyment. There is a ping pong table, a foosball table, 6 bikes 2 fishing poles, an extra fridge, beach equipment and the list goes on!